Recently I published an article on automated trading software or robots, and explained why you should avoid them. However, there are some technical analysis software that could be a good help for novice traders to learn to analyze the charts and locate the chart patterns and support/resistance lines. 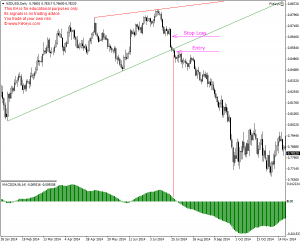 In this article, I am going to talk about the technical analysis software, and at the end of the article I am sharing a kind of technical analysis software that works on MetaTrader 4 or MT4 platform. 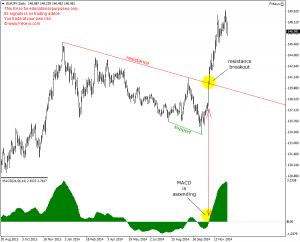 This software which is usually called Expert Advisor or EA, is able to plot the support and resistance lines on the price charts and is a big help to locate the support/resistance breakouts and also some strong chart patterns like Triangle, Wedge and Flag. I will also share a good and strong trading system that helps you trade the support/resistance breakouts that this EA locates. Before that, let’s see what a technical analysis software is and how it works, and whether you should use it or not. Computers in today’s era form an integral part of a trader’s paraphernalia and trading software is what gives an edge to trader. From calculating the strong entry-exit points to charting trading patterns, from tracking pip movement to deciding on buy/sell orders, from sifting through continuous inflow of trading data to identifying volume movements, there is just about no aspect of trading that isn’t monitored by software anymore. Software in today’s world is an as indispensable part of trading as the capital required initiating an investment in the markets. You could well argue with me about the need for an automated tool for technical analysis when traders have manually interpreted trends and given buy or sell signals for years. Well, I would say that given the pace of trading as we see it today, automation is the need of the hour. Automated technical analysis is nothing but making the software read the signals just like a trader, look out for them and interpret them as per data fed in by the trader. It essentially works towards cutting out the human element from the day to day trading. I would say that for certain points it is actually a good move to cut out the emotional human element from the entire trading scenario. The automated analysis of the technical trends of the market gets you quick response as per pre-decided format and leaves no room for indecision. In a market that thrives on speed and precision, automated analysis cuts out the scope of human error from the trading horizon. Also it adds to the convenience factor, you do not have to keep vigil on the trading screen 24×7. The software tracks prices and executes a trade as per pre-fed settings. I know that those who have been following me on LuckScout are surprised to hear this from me, because it looks against what I have been saying about trading so far. You are right, but the above words doesn’t mean I am asking you to leave your trading to a software completely. This is not possible to do with our trading strategy, because it is visual. We have to see the candlesticks patterns, and the trend’s situation to decide whether we can go for the trade setup or not. Some parts of our trading system can be automated, but the last part which is deciding about the quality and strength of the trade setup cannot be programmed and automated. For example, it is possible to create a software that locates the candlestick patterns we follow. A software can easily locate patterns like Bearish/Bullish Engulfing Patterns, Dark Cloud Cover and Piercing Line. But something that a software cannot determine is the strength of the pattern. Too many patterns form on the charts every day, but the ones that we consider and take are very rare. We take the too strong patterns, and this is what a software is unable to distinguish, because it is something visual. It cannot be done just by measuring the length of the participant candlesticks, because the candlesticks size have to be compared with the previously formed candlesticks, maybe even their combination and arrangement. This is what a software cannot do. A software can also recognize Bollinger Bands breakout, and even the strength of the breakout, but it takes forever to set it to screen the strong breakouts from the weak ones on different currency pairs and time frames. It will make mistakes and will miss some of the good breakouts and will take some of the bad ones. In addition to the candlestick pattern and Bollinger Band breakout, we consider the situation of the market where the pattern is formed on. It is important for us to know whether the pattern is formed on a too strong trending market, an exhausted trend, on a sideways market, or somewhere on a consolidation. Even if the candlestick pattern and Bollinger Bands breakout can be programmed to be located by a software, this part of the work has to be done by the traders. So, automating some part of our trading strategy can be possible, but it doesn’t save any time for us, nor it will help us locate the setups better. The trade setups we want can be located on the charts at a glance. It doesn’t need any analysis, nor it needs any complicated indicators. So we don’t need a software to do it for us. However, maybe a software can be used to help novice traders learn some part of the work like technical analysis. I see that novice traders have problems in locating the highs and lows and plotting the support and resistance lines properly. A software that shows the most visible highs/lows and plots the support and resistance lines on the charts can be a big help and it saves a lot of time for those who want to learn technical analysis. Indeed, the software I am going to share at the end of this article is such a software. Please keep reading. I will let you know. Perhaps one of the biggest advantages of introducing technology into the trading is bringing forth the live trading charts right at your fingertips. You are able to avail to access the trading screen at any point of the day at fairly affordable rates, and your trade is no longer dependant on a third person account. This feature again respects and helps realise the time factor effectively. You can access live charts, daily news analysis and other tools that are geared towards maximizing the returns that you can expect to from your investment. These are perhaps the most important tools for technical analysis of the markets. It works in an automated fashion to identify various price patterns depending on the price action and executes the resultant strategy. The software helps accumulate all historical data and correlates them with the current price action to bring out the trading pattern or a chart movement which will enable you to decide on a strategy that can reap the benefits of a specific trend. This is particularly helpful because sometimes the not so obvious price trends might not be visible to the naked eye and by the time trader might identify it, it could be too late or the entry/exit points might become irrelevant beyond a specific price points. In contrast, there are special software that helps you identify not just trends, but specific moments as well that could turn out to be the point of reversal or turnaround for many a trend. What is interesting about this software (technical indicators) used for technical analysis is that most time they are very adaptable and easily concurs with the traders specific interests and performs only the select task that a trader might look to achieve. Almost everything from color schemes to parameters responsible for analysis can be modified as per a person’s choice and requirement. If you want, you can even chart different indicators using the same set of values and data points. 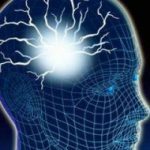 What this kind of adaptive technology can do is it can help you achieve a lot more precision and perfection in your analysis, something quite unthinkable manually. Not just it gives you easy access to multiple analysis techniques at the same go, it can also work towards cutting down the time taken for these in-depth analysis by giving all the required info in multiple windows at the same time. Another big advantage of using software for technical analysis is that it helps you use data to gauge the depth of existing markets. It gets you a ringside view of the limit orders, liquidity pockets and the easy access points in the market. When you identify the pockets of adequate liquidity, it will enable you to better align your trading positions and garner the maximum possible risk-reward ratio. An understanding of the market depth also helps you gauge the market mood a lot better and the amount of risk that is worth its while. Another interesting and important feature is the system of alerts that is auto generated as a result of a software interface as compared to a trader spotting sudden patterns manually. You can adapt the software in a way that it helps you set alarms for as many fields as you want and provide the right update at the right alarm. You can set alarm using a variety of options like symbols, price action, news based moves, size of the trade, quotes and the variety of keywords that can be punched in for the desired impact. Perhaps the most beneficial outcome of this method is easy and quick response to the news and market moves, wherever and however it comes across. Be it the middle of the night and deep into trading day, a news development or a price action would not go unnoticed. Also, it gives you the option to deactivate the alarms that you do not require beyond a point and which might not be relevant after a certain news event. If you had to redraw charts manually based on such events, it could be very time consuming and the accuracy of it could be at a stake. However, a software enables easy changes. Availability of records is another big advantage of using software to analyze charts. 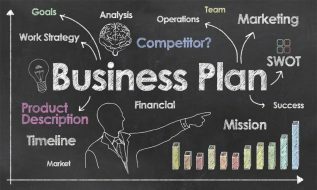 It helps you save all past work, historic data and outcomes of the strategy that you might have used earlier. This is extremely useful because access to this huge data source helps you refashion your present trade in perspective of past performance and price movement. Also, sometime reference to how you have reacted to a certain change in price in the past can help you modify, or course correct a current strategy and thereby minimizing the scope of error further in your trade. Also, this kind of record keeping option makes your create your own individual matrix of the hot trades and currency pairs you want to keep a track on. You can create individual checklists and watch lists of the hot stocks and the correlated market movement. Thus, we can safely conclude that software can be a huge enabler of efficiency in the markets trading. It opens up a gargantuan scope of opportunity and helps you achieve higher rewards on large risks. This would have been otherwise impossible without access to the deep data resource and reference points. 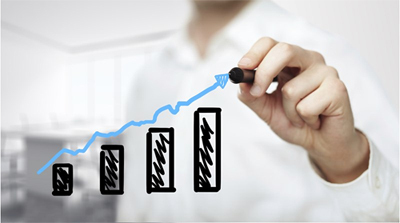 It also helps you achieve a higher degree of accuracy in your work and maximize the profit from any given trade. The conclusion is that we CAN take the advantage of good software(s) to improve our trading as long as it is possible to leave some part of the work to them and it is possible. There is no doubt that there are still a lot of things that have to be done by us, and neither there is a software that can do them, nor it is possible to create a software for them. Recently a friend of mine who is a good trader and investor as well as a programmer, contacted and talked about a simple and small expert advisor that analyses the price charts and locates the support and resistance lines. As you may know, “expert advisor” or EA is a plug-in software that can be installed on MetaTrader 4 or MT4 platform. Some traders call it robot. Programmers who know the MQ4 programming language, can develop different types of EAs or robots with different abilities and tasks. For example, there are some EAs that are able to close the positions at any given price. They can be used to hide the stop loss and target values from the brokers. Some robots are auto-trader. They can take and close positions based on the special algorithm (trading system) that the programmer has programmed in them. There are many of them being sold over the Internet. No need to say that none of them has been able to make money for the traders in long term, and so I don’t recommend you to try them. 1. It plots the support and resistance lines on the charts, and on any time frame that you want. It has three different settings that enable you to make the robot plot the lines based on the stronger or weaker highs/lows (different settings of the robot will be explained later in this article). When you want to have more trade setups, you set the robot to use weaker and closer highs/lows to plot the support/resistance lines. Surely, more trade setups based on the weaker highs/lows means a higher number of false breakouts, and so a lower success rate. If you want to have stronger and more reliable trade setups, then you can change the robot settings to choose the stronger and more visible highs/lows to plot the support/resistance lines. 2. It displays an alert window and plays a sound whenever a support/resistance line is tested, broken, and retested. Therefore, you will be notified when you are not at the computer. 3. It emails you whenever a support/resistance line is tested, broken, and retested. You can receive the emails in your mobile and go to check the charts. Why Should You Use This EA? 1. This EA is a great help for those who want to learn the technical analysis. Novice traders have a lot of problems in locating the valid lows/highs to plot the support/resistance lines. They usually plot the lines wrongly and so they get trapped by the false breakouts. This EA plots the lines on the charts automatically and shows you how to choose the proper highs and lows. It also shows you the chart patterns like Triangles, Wedges, Flags, Channels and… that are usually hard to be distinguished on the charts by novice traders. 2. This EA is also a good help for the professional traders to locate the breakouts on unlimited number of currency pairs and time frames. It can inform the traders about the strong breakouts on time and when it is the right time to enter the market. We show you how to locate the too strong trade setups based on the support/resistance breakout and Slow MACD. 1. Click Here to give us your email to send you the EA file. Copy and paste the EA to “Experts” folder. 3. Restart the MT4 platform. 4. Open a price chart. 5. Press Ctrl+N to open the navigator. 6. Open the “Experts Advisors” dropdown. 7. Drag LuckScout and drop it on the chart. 8. The EA settings window will be opened. Choose the “Common” tab and check “Enable alerts” and “Allow live trading” and choose “Long & Short”. 10. Make sure the “AutoTrading” switch on the standard toolbar is ON. Double click on the EA icon at the top right of the price chart and choose the “Inputs” tab. When set to 1, the EA uses the most recent, weaker and smaller highs/lows to plots the support/resistance lines. This setting is good for those who want to have too many trade setups. However, it will have a higher number of false setups too, and so it is not recommended to use it. When set to 3, the EA uses the strongest and most visible and reliable highs/lows to plot the support/resistance lines. This setting is for the more patient traders who like to wait for the strongest trade setups. It will have a lower number but stronger and more reliable trade setups. Setting 2 is between 1 and 3. It is recommended to follow the markets through the 2 and 3 settings, because the robot is able to locate nice and strong trade setups with these two settings. When set to 1, it plots the lines based on the close price (line chart). When set to 2, it plots the lines based on the high and low prices (candlesticks or bars shadows). It is recommended to set it to 2 which is the default setting. When you change this setting, you will have to delete the lines that are already plotted on the charts, after clicking on the OK button, otherwise the EA will not update the lines. True: The EA displays the alert window and plays a sound whenever price tests, breaks out of and retests the support/resistance lines. False: The EA doesn’t display the alert window and play the sound alert. True: The EA sends an email whenever price tests, breaks out of and retests the support/resistance lines. False: The EA doesn’t send any email at all. True: The EA displays the alert window and plays a sound whenever price tests the support/resistance lines (of course if Display_Alert is set to true). False: The EA doesn’t display the alert window and play the sound alert when price tests the support/resistance lines. True: The EA emails when price tests the support/resistance lines (of course if Send_Email_Alert is set to true). False: The EA doesn’t email when price tests the support/resistance lines. True: The EA displays the alert window and plays a sound whenever price breaks out of the support/resistance lines (of course if Display_Alert is set to true). False: The EA doesn’t display the alert window and play the sound alert when price breaks out of the support/resistance lines. True: The EA emails when price breaks out of the support/resistance lines (of course if Send_Email_Alert is set to true). False: The EA doesn’t email when price breaks out of the support/resistance lines. True: The EA displays the alert window and plays a sound whenever price retests the support/resistance lines (of course if Display_Alert is set to true). False: The EA doesn’t display the alert window and play the sound alert when price retests the support/resistance lines. True: The EA emails when price retests the support/resistance lines (of course if Send_Email_Alert is set to true). False: The EA doesn’t email when price retests the support/resistance lines. Do_Not_Change: Do not change this, otherwise the EA will not work. Click on OK after modifying the settings. You can click on Reset to go back to the default settings if you want. This EA doesn’t plot any line and update the previously plotted lines when the markets are closed. It means if you add it to the charts during the weekends, it will not work until the market open. This EA shows you how to analyze the charts plots the support and resistance lines. At the same time, it can also monitor as many currency pairs and time frames as you want, 24 hours per day. It informs you whenever a trade setup (support/resistance breakout) forms. Note: Please do not trade this EA’s signals on your live account before you learn how it works. This settings makes MACD much slower and so it filters out so many false signals. Then set the “Support_Resistance_Strength” to 3, so that the EA plots the lines on the strongest possible high and lows. This will also filter out so many false breakouts. Then you can right click on the chart and click on “Template” and then “Save Template…”. Give the template a name and save it. Next time that you open another price chart, all you have to do is that you load the template on the chart, so that the EA and MACD will be added to the newly opened chart all at once with the settings described above, and you will not have to add and set them one by one. You can set a 3xSL target at least. 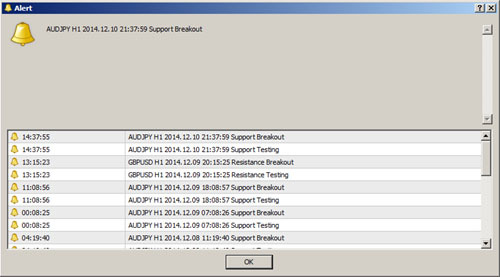 You can monitors the markets both with 2 and 3 settings for Support_Resistance_Strength. The robot is able to locate strong and profitable trade setups through these two settings. We will have more articles about the forming and formed trade setups located and followed by our technical analysis software, to help you learn how to use the software and trade its trade setups. To monitor several charts, you can have them open on your platform, load the template on each, and leave them open until the robot alerts you. Loading too many charts on one platform can overload the platform, and so it can be ended to platform shut down. If you want the robot to monitor too many charts at the same time, you can run multiple instances of MT4 on your computer and have a few or few charts on each. Doing so, the platforms will not be overloaded and they will not get shut down. After following ur articles for six month, I want to say that This articles is the most important that im waiting for a long time.. I CAN NOT BELIEVE What u wrote to us..VErY Incredibles and AWESOME.. I know ur Trading Strategy very well..waiting for BB breakout, Strong set up, support and resistance break out.. I will learn to learn to use this EA wisely.. Thank you very much for the EA but I see there is an issue that, the lines not disappear when I drag new pair on the chart. It should be 2 lines on a chart but some times I get 4 lines. Can you remove this bug? That is not a bug. You have to open one chart window for each pair and leave them on the platform, not that you drag the pairs on the same chart window over. It is so tiring and time consuming to do that. You have to leave the robot on each chart to monitor and report the events. If you open just one chart and drag the pairs on it, how the robot is going to check all the pairs and time frames at the same time? I mean it should “refresh” the chart and delete the “false” lines whenever we open a new chart or drag the pairs on the same chart window over. You should open one separate chart window for each pair and time frame and load the robot on each. It refresh the chart, remove the old lines and plot the new ones when it is the right time. I HAVE PROBLEM IN ATTACHING TO MY CHART. I HAVE DOWNLOAD AND DO AS YOU WROTE ON THE WEBSITE BUT WHEN I AM ATTACHED TO THE CHART , THAT EA NOT ON MY CHART. COULD YOU TELL ME WHAT ‘S THE MATTER ? YOUR ADVISE WOULD HIGHLY APPRECIATE. Have you followed the below instructions? Every day i read your articles and learn, thank you. Also thank you for teaching us new systems, it makes waiting for too strong setups easier. I am having difficult challenges trying to run it on my MT4. i cant find it on expert advisors. Pls i need further guide. Make sure to copy/paste the EA to the right folder as it is explained above, and then restart the platform. There is nothing else I can add to this. My thanks to My Mentor,, Maria, Dragan,members of LuckScout and all meaningful trainees of LuckScout for your comments and insights to becoming a better traders. please correct your path, since the new mt4 build it is as i wrote above. For me the method Dragon proposed does not work. Maria’s version is correct – the new version of MT4 requires the file to be placed via the ‘open data folder, see Maria’s method above. I also had to do it this way for the MACD tool. A big thank you to you and your good friend. Everything is looking UP!! t .. i tried to copied into my EA but failed.. this file extension is EX4 but my MT4 using MQL4..so how.. what do you think??? .. i can copied but when i restart my mt4 and try to find your ea in my expert .. it wasnt there..
What is your computer windows? 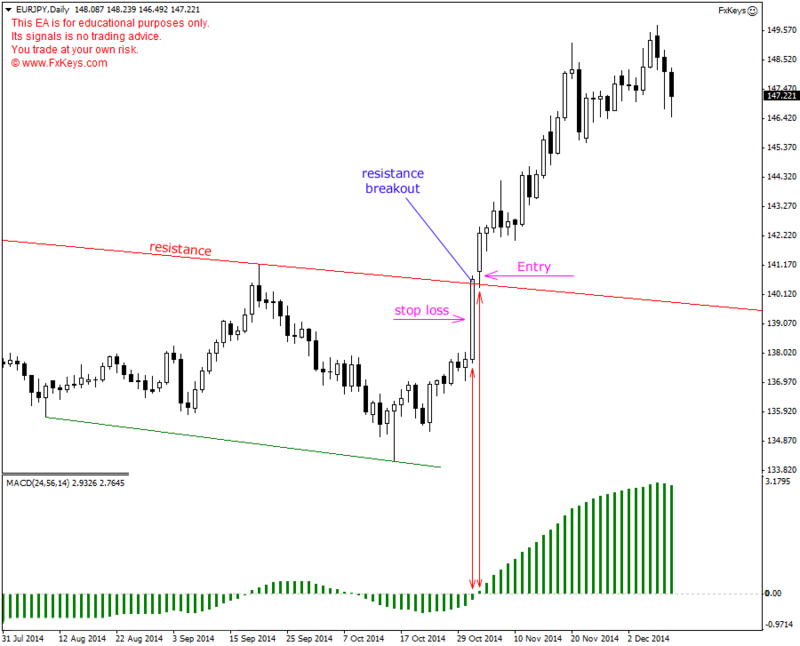 … i followed every step c:\program files\meta trader 4\MQL4\expert…. Thanks a lot for sharing it with us. But unfortunately, I don’t quite understand how this works. I followed the steps but there aren’t any lines formed..? The only difference I see is a comment on the left side of the chart and “LuckScout :)” on the right side. Make sure Expert Advisors button is on. Also check “Enables alerts” and “Allow live trading”. The EA looks up and running. I don’t know why it doesn’t plot the lines on your charts. I will let you know if I find out. Thank you for sharing this tool. As far as I can remember, earlier you wrote that trading the breakouts are not too reliable. Kamel also explained it in one of his articles. The main problem was as I can remember that the lines may be invalid and even if valid, the price may not move strongly toward our target. Do you think it still so? Yes, I still believe that candlestick signals are stronger and more reliable. However, technical analysis is important for us too. Besides, there are some traders who prefer to trade the support/resistance breakouts. So this EA is helpful for them. i have users but the rest directory i cant see in my laptop directories.. both laptop..
Amazing tool. Thank you for sharing it with us. Although I am going to stick to the BB + candles system, this is very useful to have for H1 and H4 charts when I want to trade the strong setups in the shorter time frames (due to low balance). Thank you! Thank u for ur useful article. by the way i am confused which time frame i will use ? another problem is when i see H1 time frame market break the resistance line and the other side h4 confirmed the downtrend, so actually i really confused, please give some advise for me. advance thank u . Daily, weekly and monthly time frames are the best and most stable. 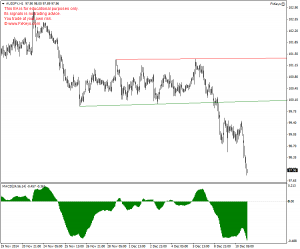 Sometimes a shorter time frame forms a setup which is against the longer time frame direction. Usually in these cases the market follows the shorter time frame for a limited time, but then turns around and follows the longer time frame, unless an agreeable trade setup forms on the longer time frame too. We don’t care about the MACD SMA and so we set it to 0. The setting we use is already shown in the above article. Thanks for sharing, the more you share the more i learn. This blog is gold! Thanks once again. Was wondering if possible to create an EA for the SMA 50 method? Trigger alert each time price touches SMA on 50 SMA on daily timeframe..that will be awesome! Yes, an EA can be developed that alerts when the price hits the MA. Thanks for this EA.. and i will try and learn how it work. Please how do we set our E-mail to be able to get alert. Press Ctrl+O and on the “Email” tab enable it and enter the data. Thank you for this EA. I have thought there is a convenience need for a custom tool that allows one to place an order position on the chart visually and locally – operating like a FIB level tool. I have searched the internet for one but to no avail. So by clicking the tool onto the chart (onto the current closed candle) at say a high and then again at say the close price and then again to position the offset for the lines that indicate the price numbers, one can see the proposed stop position – entry position and the take profit position possibilities. The take profit positions would be automatically calculated by subtracting the stop from the entry price and multiplying out. Allowed adjustments would be the stop price and the entry price and also to adjust the number of levels of TProfit displayed – so one can see immediately, visually, on the chart, where a 5x position for take profit would sit and so see immediately its location with respect to say BMB etc. WOW thanks alot for this handy little tool , great to cut down on workload thank you thank you, once again for great content love this site.. Michael..
You should not rename the file. It has to be ex4. You have to open one separate chart for each time frame, and load the EA on it. You also have to wait for the market to open. This EA doesn’t plot any line on the charts as long as the market is closed. You have to wait for the market to open. I continue to count my lucky stars in finding your site. Contents well written, very easy to understand and to apply. Thanks a million to the team and yourself. I was unable to get the EA program to work. Downloaded and copied it to the relevant directory as per the instructions. I noted that the file extension is .ex4 while the extension of the other files in the library is MLQ4. No, the file extension has to remain ex4 because it is the compiled version of mq4 file. This EA doesn’t work when the market is closed. Therefore, you have to wait for the market open. Tried to install your program. I have … and … both MT4. The program keeps in a loop, wanting to open from the Internet. Please advise. We cannot duplicate your problem here. Please be more specific. Thank you. Pls help I can’t install the EA on my … MT4. Tried and follow the procedure, but the last step on “Experts”, I can’t find the folder of “Expert” on my MT4 to save on the EA. Same with virtual folder. I’m using Win8 OS. Open the navigator and right click on one of the Expert Advisors already listed there (for example Ajax). Click on Modify. MetaEditor will open. Click on “File” at top left and then “Save As”. There is an address bar at the very top. If you click on it, it will give you the Experts folder address. You can copy the address and past it on Windows Explorer address bar and it will take you right to the folder. Copy/Paste the ex4 file to that folder, restart the platform and the EA will be there. I have followed your above instructions but the last portion, “Copy/Paste the ex4 file to that folder, restart the platform and the EA will be there.” what do you mean.I can’t copy the ex4 file from there and paste to “where”? Another step I did is, I open the LuckScout.ex4 file in to Meta Editor and then “save as” on the MQL Expert folder as mq4 file format and it appears on my MT4 MQL expert advisor, but I can’t do the same on ex4 file format and cannot drag and drop the LuckScout EA to my chart. I cannot duplicate your problem here. I wish we could have access to your computer to see what the problem is. I have set the Support_Resistance_Strength to 2 and the EA is loaded in the chart. After a while when I open the EA settings the Support_Resistance_Strength was changed to 1. 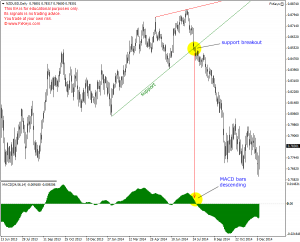 How to permanently set the Support_Resistance_Strength to 2 ?? It should not change. It remains the same as long as you don’t change it. Hi Sir, Can you provide the LuckScout EA in a separate .ex4 and mq4 file format. Appreciate your help and hope it will not cause you trouble. This EA is a gift from a friend and he has not sent the mq4 file. I don’t think he likes to share the source code. i’m so happy that you believe software and programming can help technical analyzing because i’m a programmer 😀 . i still didn’t write any plugin for mt4 but i know this kinds of plugins on matlab and autocad . first i should admit it’s a good plugin but i found some bugs in this . specially in support lines calculating . i think the problem is in finding best locations to draw a support line or resistance line. i can’t speak technical here but if your think i can help your friend to develop a better plugin , let me know . give him my email and i will try to make it better. thank you for you patient . Thank you Majid. I will let him know. Thanks bunches, for sharing this awesome EA app. Market is presently closed but greatly anticipate seeing it work Sunday eve. As I noticed, several followers, as did I, have/had some difficulty loading the EA. MTA4 Build 600 is different than previous builds in that it’s files are now “hidden” and can only be accessed from the MT4 “File” menu. While the process is rather simple certain steps must be followed in order to apply custom apps. Hope this will be helpful to Followers. Thank you so much for sharing the video. I am going to update the installation process based on that video. I followed the EA “How to Change the EA Settings” guidelines but I see no option/directions regarding selecting an email address to which to send alerts. So how does one assure that the alerts actually go to my email address? For that you have to press Ctrl+O and refer to Email tab. You have to complete the form and click on “test” button to make sure MT4 can email you. When you are done with that, you have to refer to the EA settings and set the email alerts to True. Some body pinch me I think I’m dreaming lol Ive never had a website make me dance a jig and break out in song, thanks LuckScout And family for restoring hope in so many ways. This is a amazing site, team by wonderful people may I become just like you and pine day become a mentor passing on LuckScout legacy for generations to come. Thank you kind lady’s and gentlemen! Proud LuckScout novice! Hello, thanks for your time. When I down load the file for the software from my mobile it is a txt file is this normal? I was thinking it should bye a .exe file? Any information it’s appreciated as always. You have to right click on the link and click on Save target as. I hope I will be able to explain my problem to you correctly. My IT knowledge is absolutely hopeless hence I am looking to you for some help. I have recently started to receive emails from you on various subjects – in particular with regards MT4 Platform. This platform has already been installed for me by my Binary Option Broker. I am also utilizing the services of a Trading Method Software provider called DecisionBar. They set up their system for me for the – Currency Pairs which sits on MT4 Platform. 1. Is this possible to set up all these as I require? 2. Reading some of your emails I may also want to add few other things as well such as Price Action Alert, How to choose the proper Highs and Lows, Breakout on unlimited number of currency pairs and time frame etc. 3. Any other charts/information that you may suggest will be helpful. 4. Could you do this for me? If not do you know of anybody who can help me set up this by accessing my computer remotely – I do not mind paying you or them for your/their services. I hope you will NOT let me down. Please treat this as URGENT. I look forward to hearing from you via email. Hi, I am a bit late to download this EA, but thanks a lot, it will help our novice traders tremendously! Thanks also for your friend and everyone who helps with this website. I don’t think we will ever be able to quite grasp why you guys are helping a bunch of strangers around the world, but I guess we could only thank you as much as possible. So thank you again. from the bottom of my heart. You are changing a lot of peoples’ lives with this website. Just one question, my EA seems to be working fine(I can see the support and resistance breakouts etc. ), but the ‘smiley’ face on the top right corner is not smiley, in fact it is ‘unhappy’-does it mean I have some settings incorrectly set, or could there be another reason for it? Please check the “Common” tab settings and make sure to put a check mark for the main options. Thanks, seems I forgot the ‘autoTrading’ switch. I have a smiley face..
since signing up on your trade risk free account, every highlighted word is now a advert for some kind of robot or indicator. Is this how it is supposed to be or did I sign up through the wrong affiliate? I don’t know what you mean. Please be more specific and explain more. What we are doing and are supposed to do has nothing to do with any robot or indicator. Sounds like Johann has some kind of Malware on her browser. For helpful information google “highlighted words in (your browser)”. Thank you very much for your excellent and extensive support and mentoring to your LuckScout followers. You are truly a unique individual, a diamond among the rough! PS- (Edit out). Just posted my first comment since “Login to Comment” went into effect and noticed that my real name appears in the header. I would prefer, for personal reasons, that my username appears there instead. Can this be done? Ooops. Real name still there. Do I need to change something in Profile? Perfect! Thanks again Sir. Best wishes for a most profitable and joyous week. I just wanna say a big thank you to the LuckScout team and the guy who developed this EA honestly this EA has not failed me and now I have trades that are 99.9% accurate so I switched my style of trading I now trade like binary options. I use 15 minute candles i make so much because with the combination of candlesticks and bollinger bands I feel I know the colour of the next candle before it opens. I trade literally the whole day but by London closing time I have made and sometimes surpassed my daily target. Maybe when I hit the £1.9 million pound mark which I will in 12 months I would trade less. Thank you so much guys everyone, I feel a bit emotional writing this because I really had no clue and then LuckScout came to the rescue. One love. I tried to backtest this with MT4 strategy tester but gave an error “2015.05.03 23:53:32.767	2015.04.16 12:00 array out of range in ‘ZigZag.mq4’ (77,28)” . Could you help me to rectify this? Please let me ask the developer to check that. Hi, do you think I can use both, this technical analysis software and the double bollinger bands, to trade continuation signals, or would that make things too complicated for a novice trader? Which method do you think is better and profitable for a novice trader? I just want to keep things as simple as possible? This is really good that you want to keep your trading simple. So I suggest you to stick to one system which is preferably the candlestick + BB system we follow. Or the DBB system. Technical analysis is too complicated and tricky for novice traders. Thank you very much for your kind answer. Yes, you’ve taught me that simplicity is they key for success, and I’m very grateful for that 🙂 I just don’t get if, with the double BB I can follow continuations signals and your sistem and the same time, or just the continuations signals? Can you tell me, please? Thanks a lot. DBB doesn’t have continuation or reversal. It is just a mechanical setup. The other system has both reversal and continuation. Yeah,, I meant, can I use the mechanical system as a continuation signal, to follow a trend when it is already started, and use your system as a reversal signal, to predict the future trends before they begin. Do you think is a good idea? Hope you get what I want to say. Thanks again. Thank you.. I’m still demo trading, so I’ve a lot of time to try the techniques I’ve chose. So, I can always keep the double bands on my chart (rather than the normal bands) and trade your sistem, right? If, while I’m trading your system, the candlestick pattern breaks above the BB1, is it can be count as a strong band breakout? Or do the candlestick need to have a BB2 breakout? I’m saying it cause, on the double BB chart, the first band seem closer to the candles, so I’m not sure the BB1 breakout can be considered as strong as the normal band’s, for your system. Thanks again for your help. We use BB2 in our regular candlestick and BB system. The BB1 system breakout doesn’t make so much sense in it. I recommend you to stick with one trading system, specially if you just want to learn. Thank you. That’s a very useful answer. The article I had read said we could trade both system at the same time, but maybe that’s no the best thing for a novice. Do you think the double bands are profitable and safe enough to trade? They’re surely easier for a novice. DBB is easier because it is a mechanical system. But one can make more profit if he masters the candlestick + BB system. Thanks. I’ll begin with the easier system, while I master your system better. New in the forum. Is there any way we can use LuckScout.ex4 in MT5, as I am a user of this platform. Only the MQ5 version of this indicator works on MT5. Hope Majid creates that version. Where can I find the source code for this FxKeyx.ex4 Advisor? Hey Nice article as usual.. Can I know about TODAY (17/9/2015) in AUDUSD Trend line has been broken and the stocastic’s are in the overbought zone on DAILY TIME FRAME can i go long ? is it the correct breakout ? Hey. Thanks for published artical. after keeping files in Folder i am not seen lines of Trends. i am installing EA on Friday so there market is open. can u Please help me ? Amazing EA. Reliable S/R line in the chart from now on. Many thanks Mr. You are great. I feel exactly like dragan m!! I’ m happy because I see the comments again and that means something…. Charts uploaded as samples of Long or Short Trade setup are not shown …. would you please review if there is any technical issues? It is working Reza. Thank you. Hello, I know this may be an old thread, how can I download the EA, I have inputed my email address and subcribe to your mailing list, but it does not seem to provide a link for the EA Download. Maybe the email was blocked, so that you didn’t receive it.